Prominent & Leading Manufacturer from Mumbai, we offer pen plating machine, jewelry plating machine, silver plating machine, brush plating machine, gold plating machine and plating machine. We are among the recognized names in the industry for manufacturing and exporting Pen Plating Machine to a wide clientele. The offered machine is made from high-grade materials and offers hassle-free operations for a long period of time. 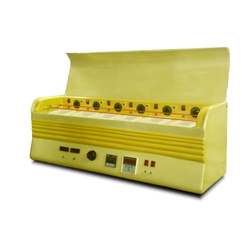 This machine is technologically advanced and is operated by means of electricity. It is energy efficient as well. We are among the reputed names in the industry for manufacturing and exporting Jewelry Plating Machine. 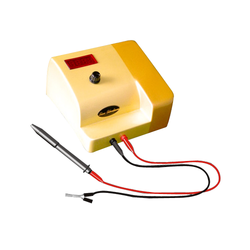 The offered machine is made in tune with the industry standards and is extensively demanded among jewelers. This machine is user-friendly and requires the least maintenance owing to its high tensile strength. It is durable and ensures hassle-free operations as well. We are among the prominent players in the industry for manufacturing and exporting Silver Plating Machine to a wide clientele. This machine has earned us loads of profits for being accurate in performance and decreasing the downtime of work. It is extensively demanded in the jewelry making industry. It is durable, user-friendly and available at cost-effective prices. 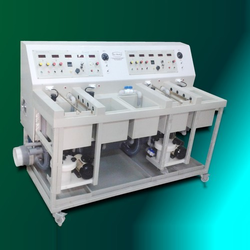 We are among the trusted names in the industry for manufacturing and exporting Brush Plating Machine. 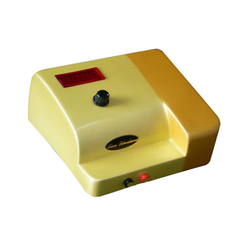 The offered machine is made in a sophisticated manufacturing unit and is effective in polishing jewelry. This machine is user-friendly, resistant to abrasion, durable and requires the least maintenance. It is light in weight and is portable as well. Dimensions: 9" x 9" x 4"
We are among the eminent names in the industry for manufacturing and exporting Gold Plating Machine for our valued customers. The offered machines are high in demand owing to their latest design and user-friendly nature. 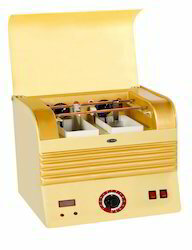 These machines find wide usage in gold plating jewelry and are meant to increase the productivity exponentially. The offered machines are robust in terms of construction as well. Specifications: 5 beakers of 5 ltrs each for micron gold plating. digital display for volt & amps, separate heating & temp. controller for each bath. auto timer cut off. We are among the celebrated names in the industry for manufacturing and retailing Plating Machine. The offered machine is in high demand as it is technologically advanced. This machine is user-friendly and ensures hassle-free operations over a long period of time. It is sturdy in terms of housing and is available at industry leading prices as well. 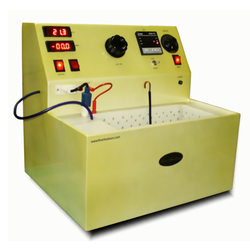 Electro Plating Machine, of 10 liters tank, full pp housing body,CCCV rectifier, digital display for Volt, Amps, Timer, Ah totalizator, Temp. controller, cathodic movement, continuous filtration, fume extractor bars. 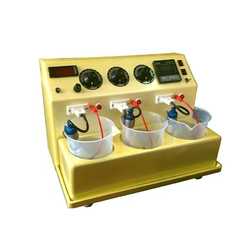 Gold Plating Machine, of 10 liters tank, full pp housing body, CCCV rectifier, digital display for Volt, Amps, Timer, Ah totalizer, Temp. controller, cathodic movement, continuous filtration, fume extractor bars. We are offering a huge array of 10ltrs. 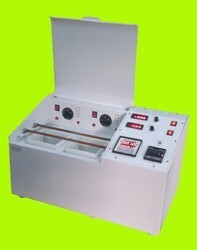 Jewelry Plating Machine that is useful in many jewelry shops. We use top quality raw materials in manufacturing and innovative methodologies in manufacturing these machines to enhance its workability and durability. In order to ensure defect-free range, these machines are checked rigorously on various parameters by our quality controllers. 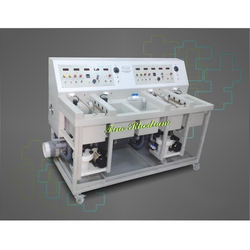 table top plating machine of 2 beakers of 3 ltrs each with separate heating & temp. controller. Full Plastic body, digital display for volt, amps, auto timer cutoff.